Integrity, Collaboration, Respect, Empowerment, Accountability, Trust, and Excellence. 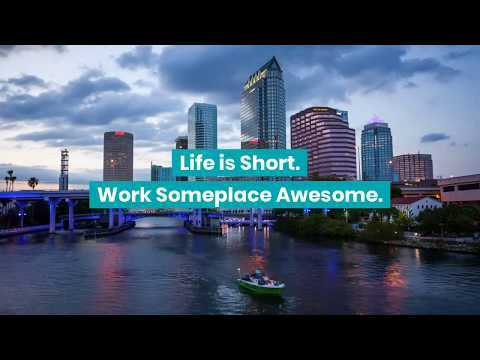 Headquartered in Tampa, FL, Nextech is a leading technology employer in the Tampa Bay area. Most recently we have been named "Technology Company of the Year" for 2017 at the 14th annual Tampa Bay Tech Awards. Our growing team of software development gurus, sales and marketing rock stars, accounting and finance geniuses, support superstars and project management pros have nearly doubled in the past few years. Do you have what it takes to join our winning team and contribute to our growth? Apply today! We are a team dedicated and guided by our iCREATE values of Integrity, Collaboration, Respect, Empowerment, Accountability, Trust, and Excellence. We hold these values in high regard and work day in and day out to leave a positive, lasting legacy to each other, our customers and the places we call home. We are driven to succeed in all we do and do not accept anything less than full effort. Collectively we hit goals, support each other, our customers and our communities. We cultivate an environment where we push each other to be better than we were yesterday in business and in life. At Nextech we strive to be a great place to work and we are constantly evolving the way we take care of all our teammates. Corporate Discounts on Retail, Travel, Entertainment and More! We Work Hard! We Have Fun! We Give Back!